Let’s get the results of the PET scan out of the way and then we can get on. Basically nothing changes: the scan confirms an primary at the entrance to the stomach and secondaries in the liver. There is not a lot that can be attempted with any real chance of success – and that measured in terms of adding a few months rather than years to my life expectancy. Marcia and I prefer to look at enjoying what time we have together rather than spending a good deal of it in and out of hospital for treatment. Meanwhile one part of life that will go on for as long as possible is the Friday blog. I have a feeling that they will become more and more associated with memories from the past rather than new thoughts and discoveries but only time will tell. 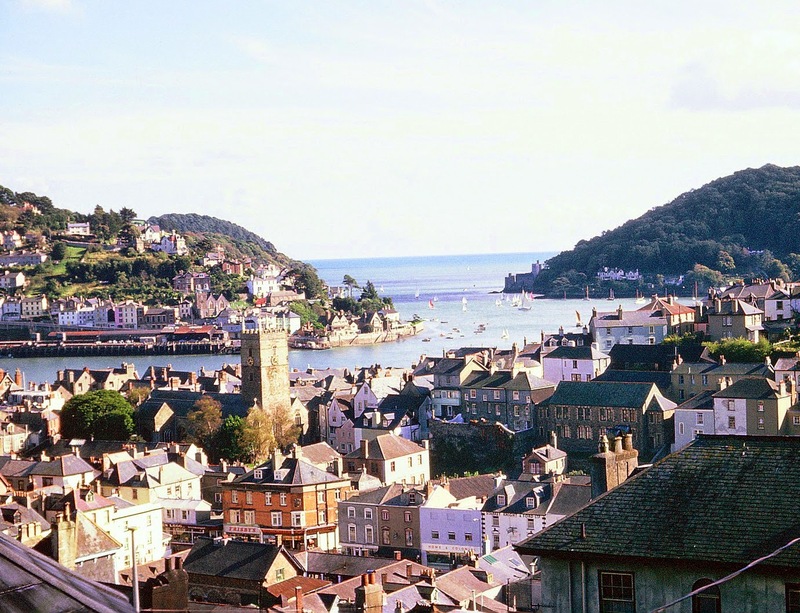 Last week we pottered down to Dartmouth to deliver some copies of Marcia Willett’s Dartmouth to the Royal Castle Hotel. We have known the owner, Nigel Way, for many years – at least thirty and probably more – and he thought it would be nice to have a copy in each bedroom but first we wanted to clear the idea with the Dartmouth Community Bookshop. As some of you may know, the old Harbour Bookshop in Dartmouth was once owned by Christopher Robin Milne, the son of Alan Alexander Milne (better known as A A Milne). Anyway, it so happened that we lived just up the road from C R Milne at that time and were on what is best described as nodding terms with him. He was a delightful character and I was saddened when his death was announced in 1996. Meanwhile, he sold the shop to Bruce Coward who was also a literary agent – mine for a while. It was Bruce who advised me in the strongest possible terms after he had read the only novel I wrote to stick to non-fiction. It was not what I wanted to hear but he was quite right. Then Bruce sold to Roland and Marcia became a writer. 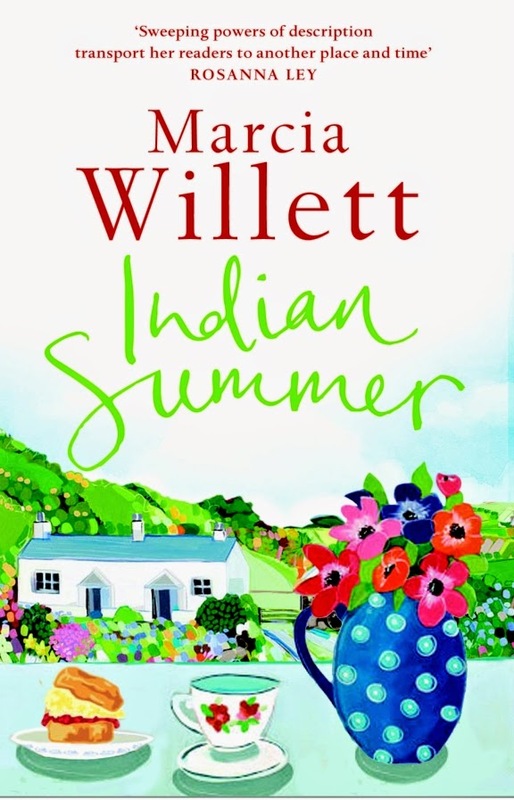 This changed our relationship with bookshops – bound to – and so it was on the basis of being a novelist that she had a relationship with Roland somewhat reinforced by the fact that he also owned a book shop in St Ives in Cornwall. But Dartmouth could no longer support a commercial bookshop and, in 2011, it closed (as has, sad;y, his other shop in St Ives). 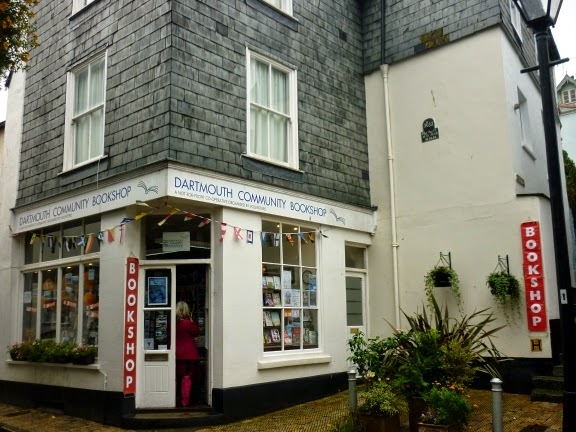 A group decided that something had to be done and they formed a not-for-profit society, called Dartmouth Community Bookshop, and opened a new facility in Higher Street opposite the famous Cherub Inn (reputed to be the oldest surviving building in the town). Managed by Andrea Saunders, who worked for many years in the Harbour Bookshop and knows the business and the local market very well indeed, and otherwise staffed by unpaid volunteers, it has proved to be a great success. So Marcia had a word with Andrea who was very happy with the idea – especially as we put a sticker on each book explaining where copies could be bought. Thus, should you decide to stay in the Royal Castle you should find a copy in your room which may add a small measure of pleasure to your visit. The Royal Castle features in The Courtyard, is important in Hattie’s Mill and reappears in The Chawick Trilogy. 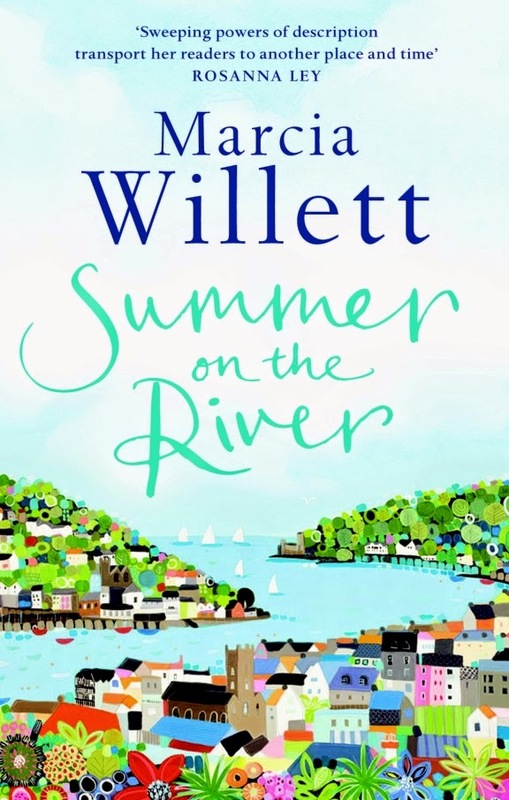 The book to be published in August, Summer on the River, is set in the town and, sure enough, some of the characters find themselves drinking and lunching there as, indeed did we last week. In passing, the Mary mention in The Courtyard is still very much with us and continues to rule the bar with a firm hand. She and I have a particular fellow feeling: she has a granddaughter who was born deaf but, thanks to cochlear implants, can now hear to everyone’s relief. 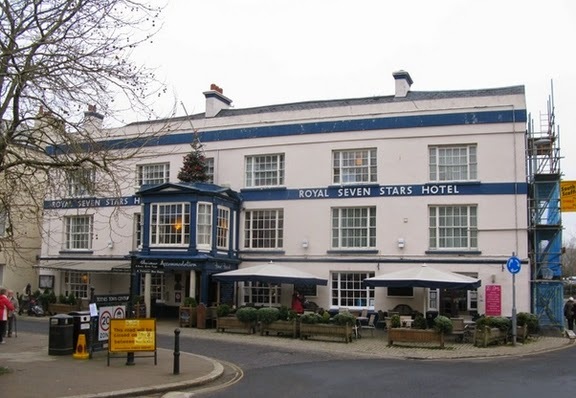 Nigel decided that he needed another hotel and so acquired The Royal Seven Stars in Totnes. 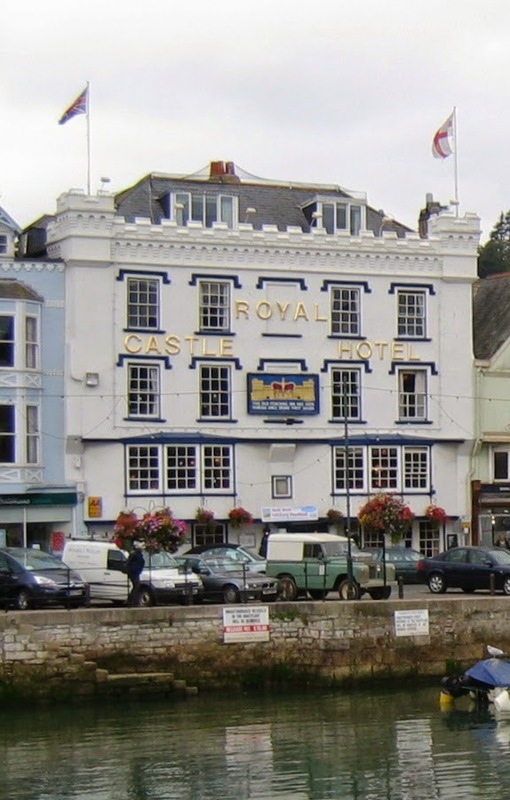 This is, of course, where Jake stayed when he was in Totnes seeking out Kit as explained in Indian Summer. When Marcia was very small, her father was a director of a firm called Staverton Construction with headquarters in that village which is about four miles from Totnes. He ran their operation from the Bristol office but had to come down fairly regularly for meetings at the head office. So it was that the family often stayed at Seven Stars where, because there were seven of them, they would be seated at the big round table in the middle of the dining room on the first floor. We sometimes have lunch in there but we prefer to eat in the bar downstairs. 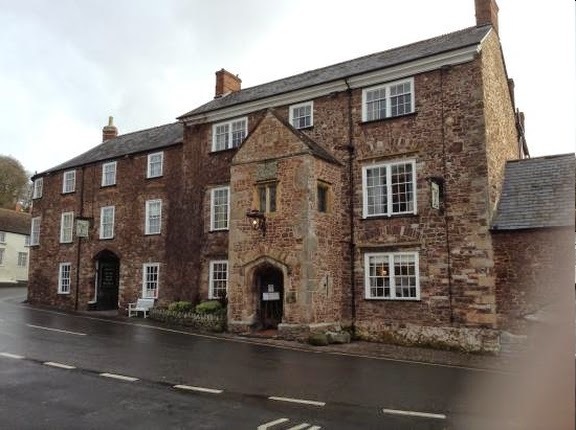 Not content with just two hotels, a year or so ago Nigel decided to buy the Luttrell Arms in Dunster up on Exmoor. I am sure that I do not need to point out that this, too, features in Marcia’s books. It plays a most important role in The Birdcage – Lizzie stayed in a room in which Marcia and I have slept – and reappears in The Summer House. I have no idea which of the other hotels that crop up in Marcia’s books will be next on the list for Nigel to add to his collection: perhaps three is quite enough. Meanwhile, Transworld have decided to rethink the style of cover for Marcia’s books. Here are the first two. I do think they are rather splendid – don’t you? What is very odd is that this painting of Dartmouth is so similar to one that I took many years ago from our old family home in Mount Boone. Here it is.